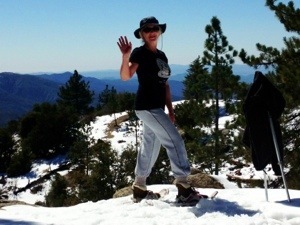 Last month, I was snowed in at my home in Idyllwild for two days. I was able to enjoy the coziness of my wood burning stove, home-made soup, and the entire 1st season of Homeland on DVD. No one was pressing me for work because the whole town stayed home too. Appointments were rescheduled and life slowed down. National Forest at the end of my block. Once there was a break between storms, I bundled up and ventured out to the National Forest at the end of my block. The views are always stunning. By the third day, when the storm completely passed, the temperature rose high enough to go snowshoeing in a T-shirt. These are the reasons I love any kind of weather. 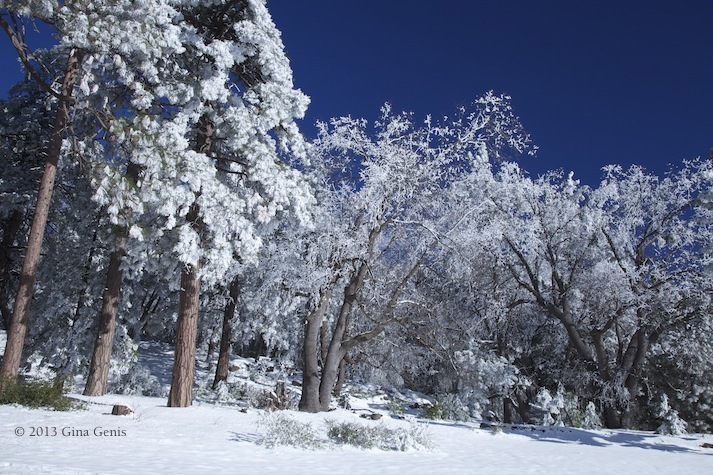 There is enjoyment in all four seasons, and fortunately, Idyllwild has them all. If you are thinking of visiting Idyllwild, I have a great apartment vacation rental. Check it out on FlipKey. 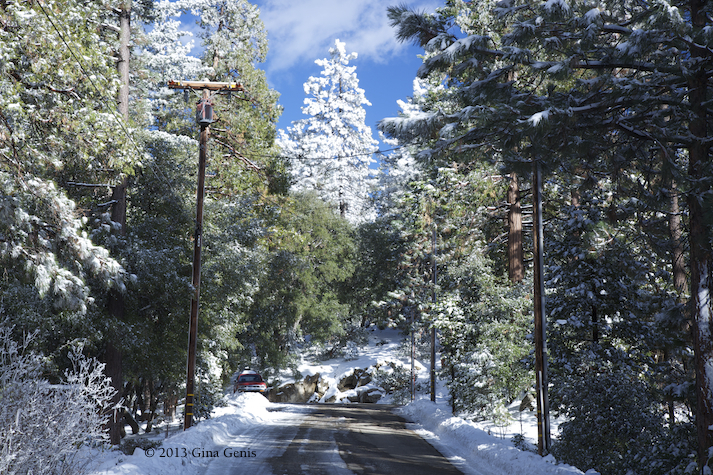 Posted in Digital Photography, landscape photography, nature photography, Photography and tagged hiking, Idyllwild, Idyllwild-Pine Cove California, mountains, National Forest, Snow, snowshoeing, storm, view, weather, Wood-burning stove. Bookmark the permalink. Christmas Eve 2012. Time is our friend, but the weather is not. My husband and I decide to chance it and take a 4 mile walk along the Cape Fear River Trail in Fayetteville, North Carolina. The last time we attempted this, we got rained out. We are hoping mother nature will be calm for a couple of hours. We begin at the Jordan Soccer Complex parking lot and walk past homes and forest. Not long into the walk is a beautiful pond. There are still ducks scattered along the shoreline. The sky is gray and heavy, but no sign of rain yet. We continue on the trail and are treated to a gorgeous view of the river. In spring, summer, and fall, it is hidden by the trees and bushes. All of the leaves have fallen to the forest floor, so we can see through the branches to the softly rolling water. Passing railroad tracks, an outhouse, and several hikers and runners, we approach a small waterfall and old bridge. An hour into our walk, the sky deepens to a blue/purple/gray, and we smell rain in the future. We turn back at the 2 mile mark. I want to take some photos closer to the river bank, so we step off the path a few feet. There, laying on top of some leaves is an animal skull. It is too large for a squirrel. It has a long snout, so perhaps it is a skunk or opossum. It has been there for quite some time, but even so, there are a few strands of hair still attached. An animal skull found in the woods along the bank. We walk back to the car, and get in just in time. The sky coughs, then opens up and rain pelts down around us. We are dry, very well exercised, and ready for the Christmas Eve feast waiting at home. To see a short video of the walk with more photos and video of the waterfall, click here to go to my You Tube channel. Posted in Digital Photography, landscape photography, Multimedia, nature photography, Photography, Video and tagged animal skull, bridge, Cape Fear River, duck, Fayetteville North Carolina, forest, hiking, North Carolina, railroad, river, running, walking. Bookmark the permalink.